VERIPAN announces major breakthrough in sourdough development with biopreservative PANATURA® PROTECT. For first time in history bakers can use an “all-in-one” solution for long shelf-life bakery products. Most of all it is completely natural: no chemical preservatives, no dough conditioners and no undesirable off-flavors. VERIPAN researchers have invented a biopreservative PANATURA® PROTECT. As a result manufacturers can remove undesirable chemicals from their formulations. They can replace them by a consumer-friendly and ecologically sustainable sourdough, according to a news release. By using biopreservative PANATURA® PROTECT it is essentially possible to make long shelf-life bakery products in a natural way without drawbacks of chemical preservatives. “PANATURA® PROTECT is the Holy Grail for the packed bread industry, due to its natural ingredients, high effectiveness and no flip-side” said Meiert J. Grootes, CEO of VERIPAN. Biopreservative PANATURA® PROTECT was developed based on VERIPAN’s proprietary fermentation technology. It uses special types of baker’s yeast in a symbiotic combination with natural occurring lactic acid bacteria and Propionibacterium. 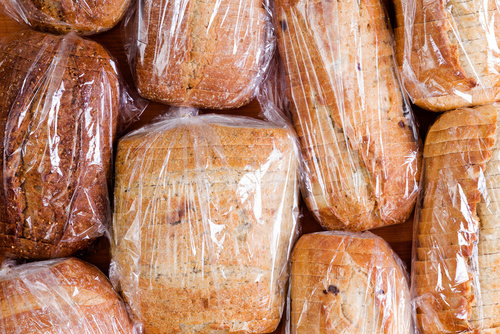 A shelf-life of 20 days or more at ambient temperature can be achieved for final bakery product. It all depends on packaging, moisture content and pH of the final bakery product, how many days can be achieved. Functionality of biopreservative PANATURA® PROTECT was validated by extensive in-house testing and accompanying industrial trials with shelf-life studies together with major customers. PANATURA® long fermented sourdough can be used for production of all yeast-raised bakery goods such as sandwich loaves, baguettes, Ciabatta, hamburger buns and rolls. They can be produced by automatic machinery or traditional craft. Most of all it results in breads and bakery products that will leave you in awe and are of highest possible quality. Furthermore they can still be produced efficiently and without any bread improvers or dough conditioners. Furthermore PANATURA® is suitable for all well-known dough and bakery systems including delayed and interrupted fermentation methods, par baking, refrigeration, and deep-freezing systems. Most of all granulated sourdough PANATURA PROTECT can be added directly to other raw materials during production of main dough. “PANATURA® PROTECT is now available on commercial scale and we are delighted to serve global bakery industry with this breakthrough innovation, especially relevant for consumer friendly products,” Mr. Meiert J. Grootes said. More about the whole PANATURA concept here.